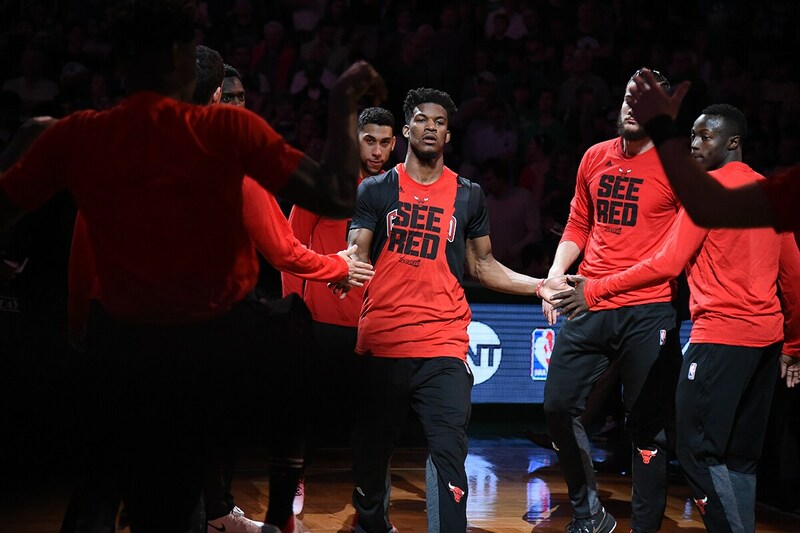 Jimmy Butler said he could do it, make the Bulls his team, lift it on his shoulders, be there when needed most, be all and only about winning. Butler did on Easter Sunday, and a Bulls team that was dismissed mere weeks ago appears revived and ready with the opening playoff game 106-102 victory over the Boston Celtics. Game 2 is Tuesday in Boston. “The shots actually went in,” Butler, with a team high 30 points, laughed about two of six first half shooting. “(Rajon Rondo) was continuing to tell me to be aggressive, shoot the ball and I did just that. I think that’s what my team needs for me to do; make or miss, make sure we get a shot up." It surely was an impressive all around team effort from the underdog Bulls facing the top seeded Celtics. Added to that was the emotion of the day with the tragic death Saturday of the younger sister of Boston star guard Isaiah Thomas, who played and had 33 points, including 12 in the fourth quarter. The fans were in full force and throat in support of the grieving Thomas, seeking to help carry him and his teammates on a magic carpet of sympathy. The Bulls withstood the early force of love and concern when Thomas’ three gave Boston a 12-6 lead and then Boston’s 28-23 margin after one quarter. 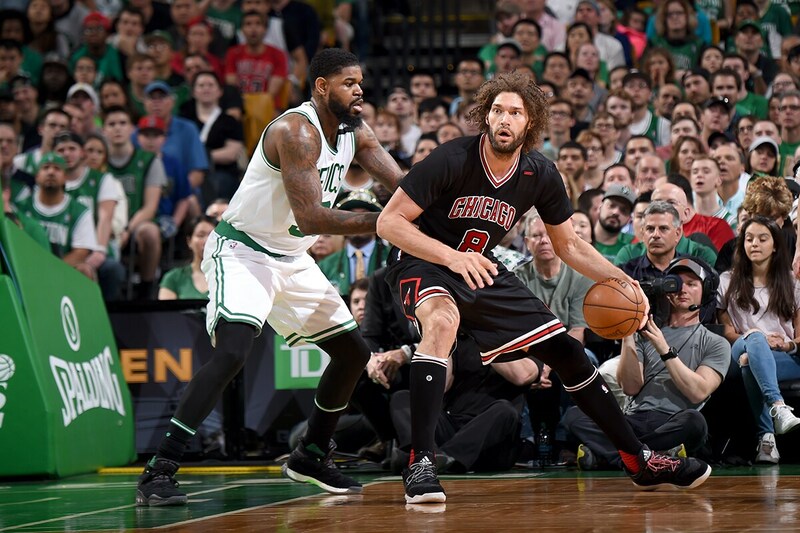 But there were signs of Bulls’ resolve with 10 points and five offensive rebounds from Robin Lopez in the first quarter. He finished with 14 points and 11 rebounds, eight offensive in a dominating 53-36 rebounding edge. The Boston players and coaching staff pointed to that as the determining factor. The teams rarely separated with 10 lead changes and 14 ties, the Bulls leading 48-46 at halftime and tied at 74 after three quarters. 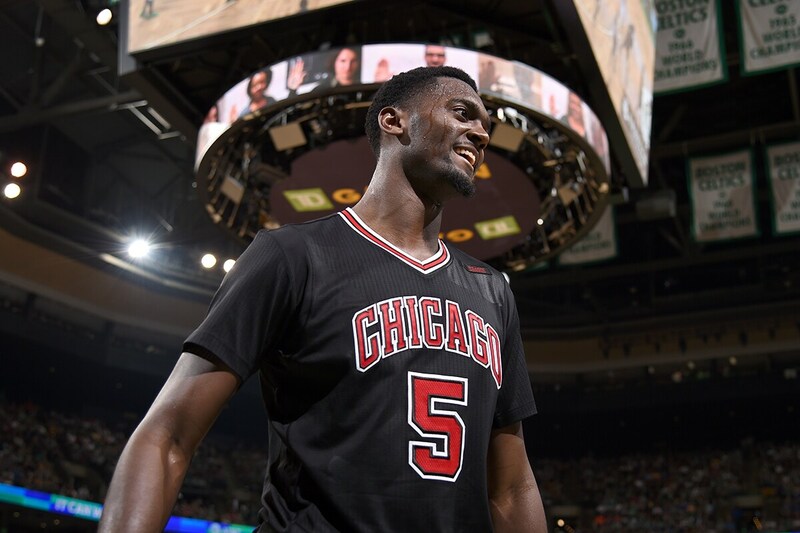 Bobby Portis was vital with 19 points off the bench and a 35-22 Bulls reserves’ edge. Dwyane Wade had 11 points, five rebounds and six assists and Rajon Rondo had 12 points, seven rebounds and six assists and Jerian Grant had a pivotal three pointer with 4:33 left that Bulls coach Fred Hoiberg called the shot of the game. 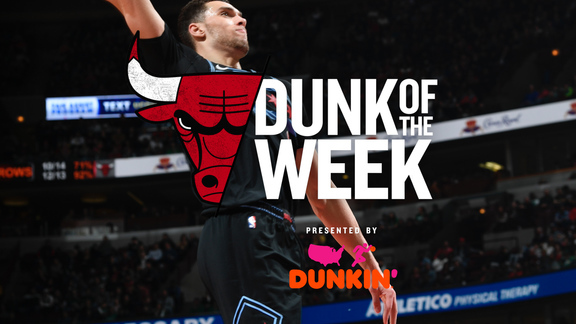 But it was Butler coming through with a career high 15 fourth quarter points, a potentially game saving block on a Thomas drive with 1:36 left and the Bulls leading 99-92, and then Butler with a driving layup with 47.5 seconds left for a 103-94 Bulls lead. Game over? Hardly. We’ve seen this before as the Bulls relaxed. Jae Crowder pumped in a three, Butler was called for an offensive foul as the Celtics began trapping and pressuring. Crowder missed another three, and the Bulls barely managed to get the ball inbounds. Butler made one of two free throws for a 104-97 lead with 19.5 seconds left. Done? Nah, not with these Bulls. Thomas hit a three, Grant messed up the inbounds pass with a review giving the ball to Boston. Uh, oh: 104-100 Bulls with Boston ball, 14.1 seconds left. The Bulls cut off the three, but Thomas drove for a score and two-point deficit with 7.5 seconds left. Out of a timeout, Wade found Butler with a hairy cross court pass that nearly was intercepted. Butler dribbled out and was fouled with 3.3 seconds left and coolly swished both free throws. Whew! “Obviously, we are featuring Jimmy when the game slows down,” said Wade. “We have to have guys throughout the series if we are going to win; it has to be their night. One night it’s gonna be Niko (Mirotic, though one of nine Sunday). One night it might be me, one night it might have to be Rondo and so forth. Like tonight, Jerian played big minutes when he came in, made a big three. To win the series you can’t depend on one guy. You need guys to make timely shots and then have big games like tonight. We’re not going to put that pressure and say, ‘Bob (Portis), we need eight for 10 again.’ But we want him to continue to be aggressive. Next game he goes two for 10, we want him taking the same shots. We still believe in him; it’s good to see young guys with a lot of talk about our age, with guys with no experience to see one of the young guys come in and perform the way they did tonight. Butler and others have talked in that curious and often fallacious debate on and off for two years about who’s team it is or isn’t; but actions speak louder than words. Butler was simply magnificent at the most important times. 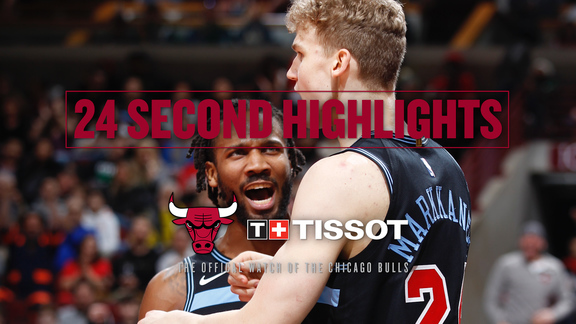 Starting with eight straight points with a pair of threes to close the third quarter after the Bulls fell behind 69-64 with three minutes left and it looked like Boston was ready to apply the clincher. Plus, when Thomas despite his anguish scored 13 first quarter points, Hoiberg switched Butler onto Thomas late in the first quarter. Thomas had two points the rest of the first half. 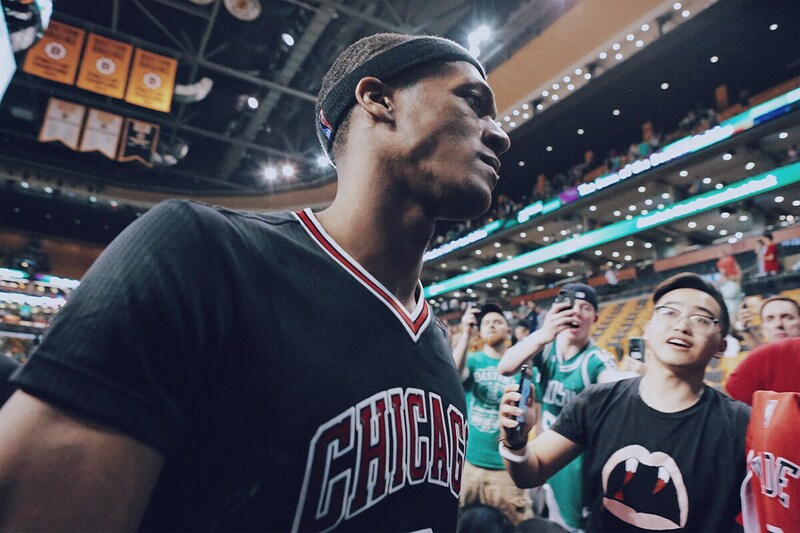 Rondo and Grant had primary responsibilities on Thomas, but again Butler switched onto him late in the game. But the Bulls did good defensive work as Al Horford with 19 points and Avery Bradley with 14 were the only other Celtics to score in double figures. “Giving him (Thomas) different looks with different guys,” said Wade. “If it takes two or three seconds away from their offense, it takes the ball a little further out, then we won that battle. So that’s all we’re trying to do, just mess up the timing a little bit. Our defense was great all game. That’s the reason we won. It was hardly perfect as the Bulls committed 19 turnovers, six in the fourth quarter against pressure. Mirotic, Grant and Zipser combined to shoot four of 22. Boston had 14 fast break points. But the Bulls had the 53-36 rebounding edge with 23-15 on second chance points when the notion was they couldn’t rebound like that since trading Taj Gibson in February. It’s Patriots Day weekend in Boston with the Marathon race Monday. The guys with the titles, like Rondo, know these series are marathons, that one win isn’t even half way. Still, it was a big time statement from the Bulls, if not only against the Celtics. There was Butler showing himself as the best player in the series, the Bulls veterans producing with Rondo, Wade and Lopez, and the kids not backing off with Portis’ huge scoring assist. Sure, the Bulls have won some prior Game 1s and lost series, but often to those LeBron and/or Wade teams. Really revolutionary for this Bulls team. And after all, these patriots they celebrate here were eighth seeds, in a sense, also. No one gave them much chance even when they won those first battles.